Get Out of the White House ! Meeting the parents can get pretty daunting when you're dating Ivanka Trump. 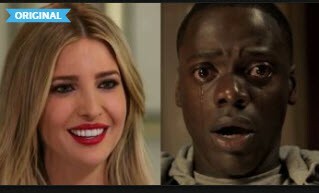 Jordan Peele's Horror film "Get Out" meets the only thing that could make meeting the parents even scarier, President Donald Trump.